We had mixed feelings about Nintendo Badge Arcade when we took a look at it over the weekend, but those with collecting streaks will likely find the arcade too cute and compelling to put down. 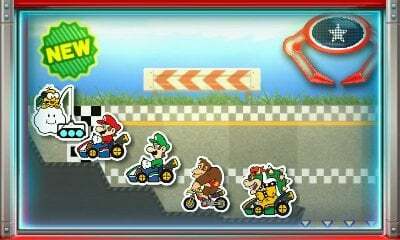 Today Nintendo of Europe revealed that new catchers containing badges from Mario Kart 8 have just been added to Nintendo Badge Arcade. The temptation to have a little flutter in the badge arcade might be too strong to resist now. 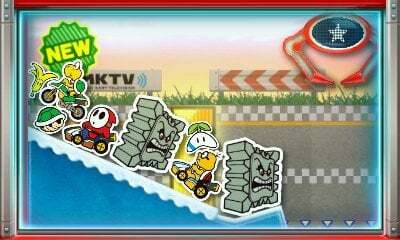 If you cough up for 10 paid plays, you'll also get a Mario Kart 8 3DS theme too. Might we get The Legend of Zelda or Pokémon themed badges next? As always let us know your thoughts with a comment below. We also got new Animal Crossing badges this week. Just to set the record there will almost ALWAYS be some Animal Crossing badges on display, because there's so damn many of them you have no idea. Since it's free and all, I'd like to have it on the Wii U. It looks like decent in between games distraction. I've got around 40-odd badges so far without spending anything, just using free plays. Some of the machines are easy. Last night I had one free play and managed to clear an entire machine of block badges by dislodging them and making them all fall through the gap! We got Hello Kitty badges on the japanese 3DS. @arrjayjee Take your pick between Link Between Worlds, Majora's Mask 3D and Wind Waker HD, there's quite a haul that'll make their way over at some point. Oh, and Zelda Triforce Heroes too! I already got a bunch of these now. 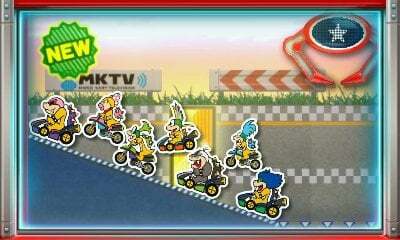 Yoshi (obviously), the Koopalings, Bowser, Koopa, and a few others. Also got the theme for that 2 bucks, but it's disappointing that the top screen is so boringly bland/non-Mario Kart and there's no custom music or sound for it either. But oh well, still kinda worth it to me. @GLA The badges are used for deorating your 3DS' home menu theme; the Wii U's home menu isn't decoratable (but that's not to say it never will be ). Few days late for NA. This morning, Majora's Mask was the new set of badges. I'll be content with the flood of Majora's Mask 3D badges that just arrived. Or, I would be, if they weren't so flippin' impossible to obtain. 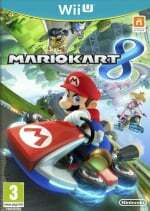 I spent some plays so I could get the MK8 exclusive theme! 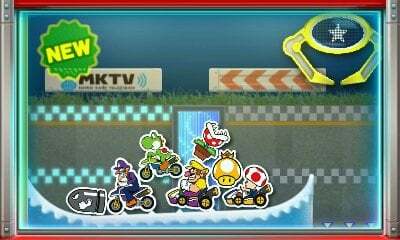 It's nice to see the MK8 Miiverse stamps fully colored, the PRIMA guide also revealed that they very likely come from vector art, so it would be very nice to see a crazy high-res colored version of them! The Bowser, Yoshi and Koopalings one are particularly interesting for me! They just came out with Zelda Majora's Mask buttons today, actually! I don't like that if I buy 10 goes, I can't save some of those until the next time I play. Why is the badge variety so terrible in Europe compared to the US?! NA had Pokemon badges already to celebrate the release of Pokemon Super Mystery Dungeon. There's been some old school Zelda ones too. The NA special theme that started today isn't a Zelda-related one like I had hoped/wasted money for. It's "Mario Underground 2". In the Americas, the badges added today were from Majora's Mask. The only badges I currently like in the EU version are the retro Mario Bros. ones. Pretty much just waiting for the Zelda ones, but then again I won't be spending money at all. I have spent way too much on this, I need someone to take it away from me. My child's college fund is getting flushed down the toilet on wasted plays. Spent my first money on this for the theme, I see it as buying the theme and getting the grabber plays free rather than buying the grabber plays and getting the theme free. So I got the theme plus I got ten Mario Kart Badges with my plays I got with the theme! Are the badges limited time only? @amiiboacid Yeah but they cycle old ones in again from time to time. My record so far is 11 badges with one free play. There's quite a few badges on offer now that are pretty lame. I like the idea of Nintendo Badge Arcade, so much so that I would probably buy like a 20 dollar unlocked version (where it wouldn't literally cost hundreds of dollars to collect them all) , but as it is I see no reason to spend money on this, and after getting about 40 badges over the past couple weeks, I don't have much motivation to keep playing. Some of the badges look great, but the Majora's Mask badges are not among them.